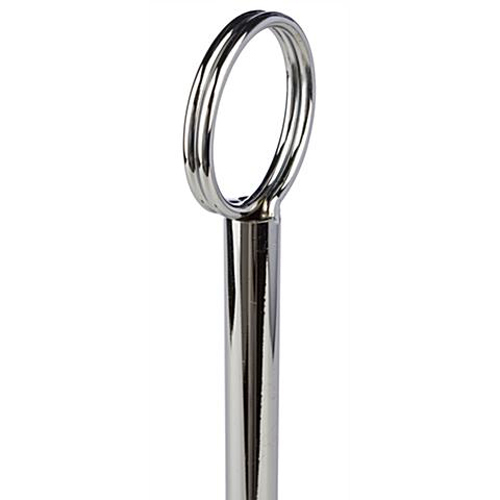 Silver Table Number Stand Rentals. 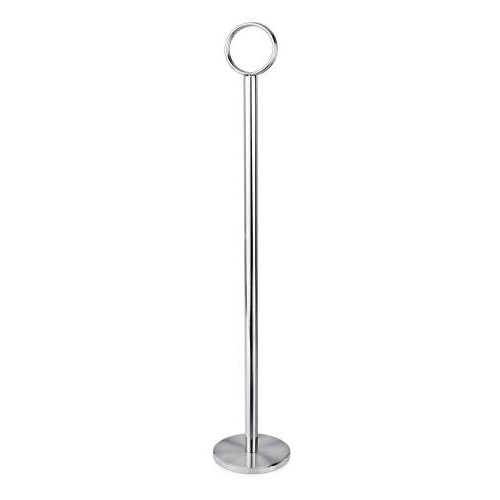 Approximately 18" tall, these silver table number stands are a quick and easy way to denote tables at a large gathering. Use a photo or piece of cardstock tucked between the rings at the top and it will stand tall amongst the rest of your centerpiece design! Quote: To request a quote to include your shipping and handling fees AND any current promotions, with no obligation to rent, choose your products, add them to your “shopping bag” & when you are done, checkout. (You will NOT be charged.) We will get in contact with you shortly with a complete rental quote to include your shipping and handling fees and any current discounts. Need Help? Email, call, or come and see us. Please Note: These items cannot be shipped - local pick up or local delivery only. Also, actual colors may vary from computer display. We encourage getting a sample to assure proper sizing and colors. Call or email today to learn more. Family Owned & Operated with own laundry facilities to assure quality linens. Seventeen years in event rental business. Monday – 8:00 a.m. – 4:00 p.m.
Wednesday – 10:00 a.m. – 2:00 p.m.
Thursday – 9:00 a.m. – 4:00 p.m.
Friday – 9:00 a.m. – 1:00 p.m.
Saturday – 9:00 a.m. – 2:00 p.m.